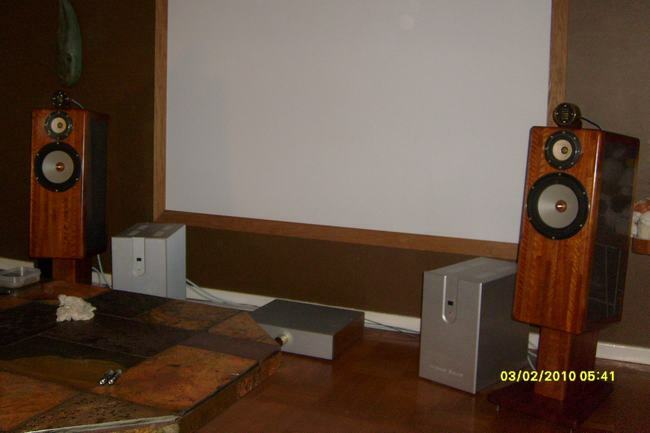 The galleries listed below is displaying some of our customers systems. 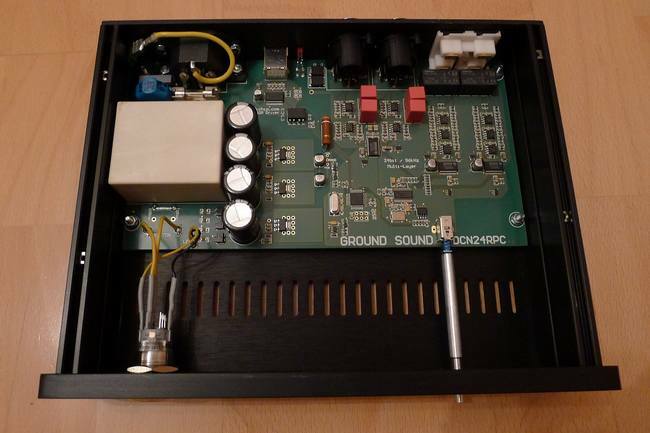 DCN28 has replaced a number of Ground Sound DCN23 crossovers and a Lyngdorf pre-amplifier powering a 4-way DIY loudspeaker. 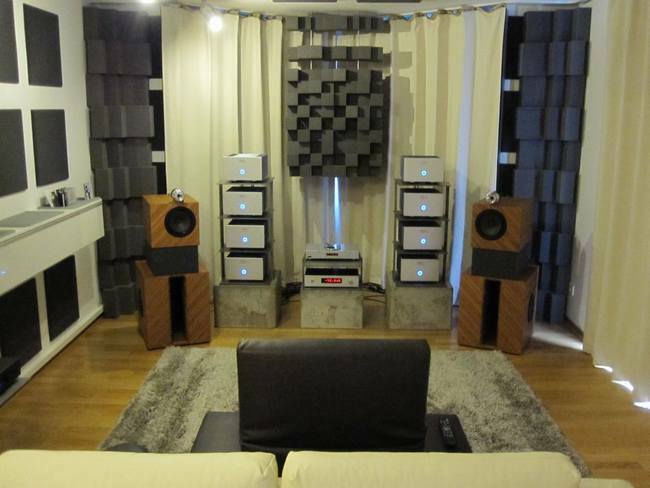 A Chassis II 1500 quad channel amplifier is powering the JBL 15" corner placed subs and the midrange whereas a tube amplifier is taking care of the tweeters and a Gamut D200 powers the LAT 500 drivers. 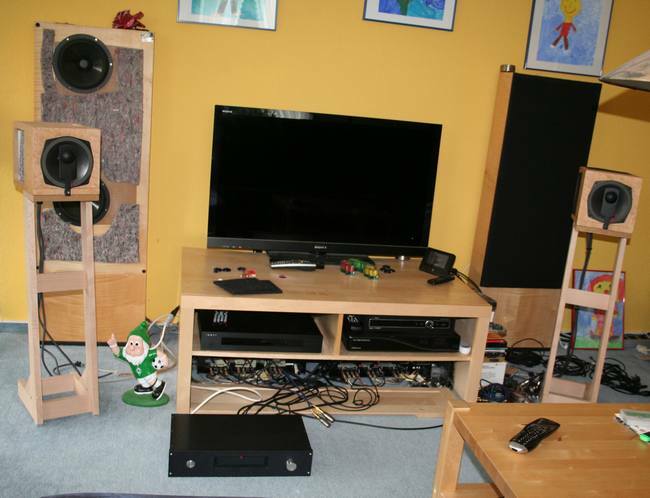 Not in the loudspeaker drivers, not in the power amplifiers - but where? 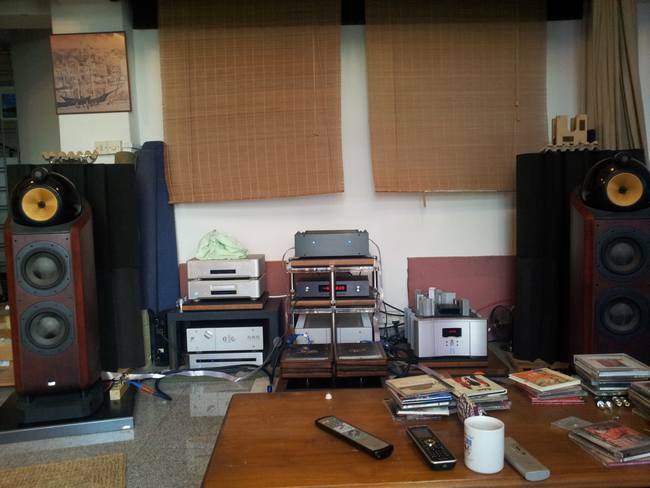 DCN28 is the new center of Niels's system replacing Mark Levinson Pre-amplfier. 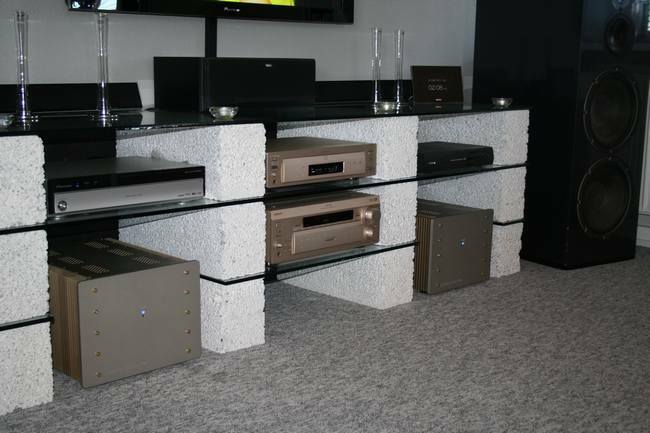 Oben Baffle Sub tower drivers are powered by Ground Sound amplifier and the MagnePlanar panels are powered by tube mono blocks. 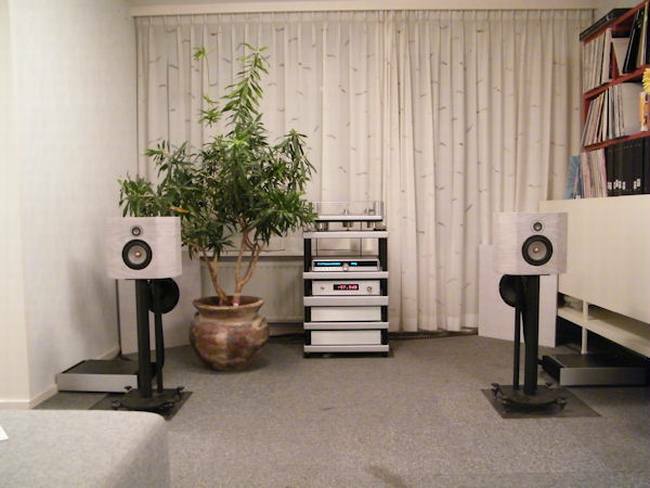 Svend has built a high sensitivity system with PRO drivers from BMS and Beyma. 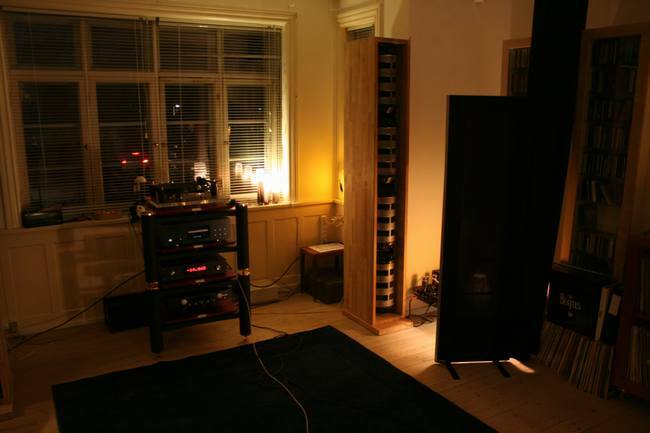 All is powered by 4 pcs Lab.Gruppen iP450 amplifiers. 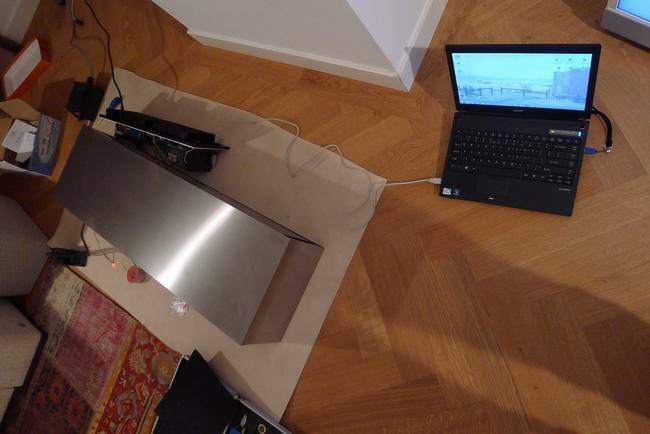 Of course 2 pcs bridged are for the 18" drivers to have enough power! 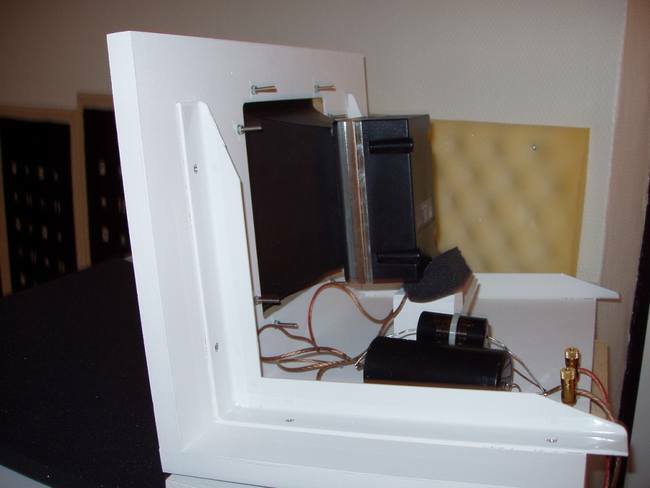 A passive factory-made loudspeaker is converted to active and a walk through shows how the loudspeaker is measured, analysed and total setup is made. This might inspire you too to take the big step ! 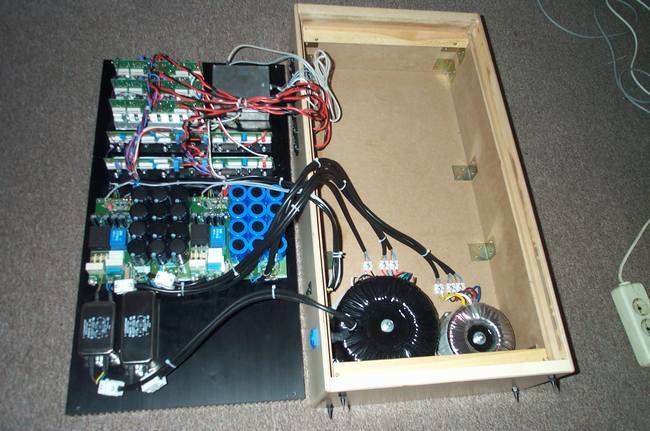 Thomas has built a relative rare DIY loudspeaker, which controls the dissipation pattern in the midrange area. Read on... in the gallery ! 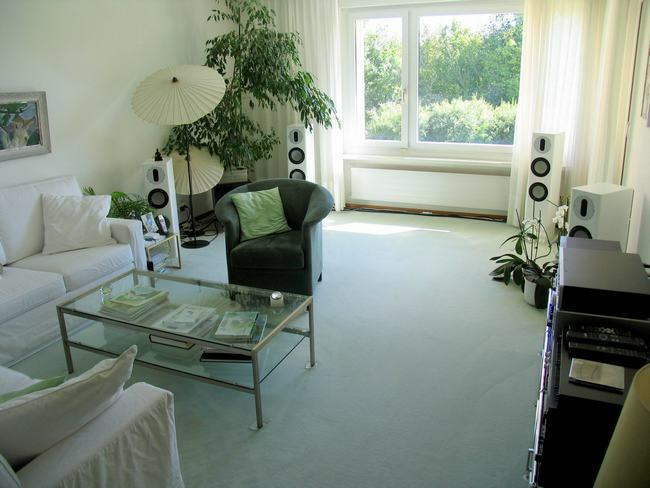 "The dynamic capacity is improved beyond any expectations I had"
"DCN28 is a very capable tool"
"I'm quite sure: The speakers have never sounded so good as now"
"The sound is huge and very dynamic, and both warm and detailed at the same time"
with the tweeter horn TL16H. 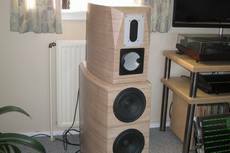 Ben is experimenting a lot with open baffle loudspeaker systems and DCN28 has proven a valuable tool for quick changes of drivers and setups. It simply makes high quality comparision much easier. 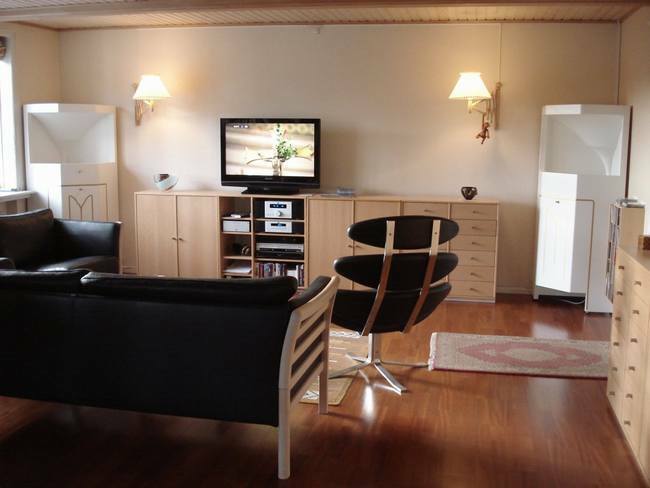 Read on and see the pictures in the gallery. 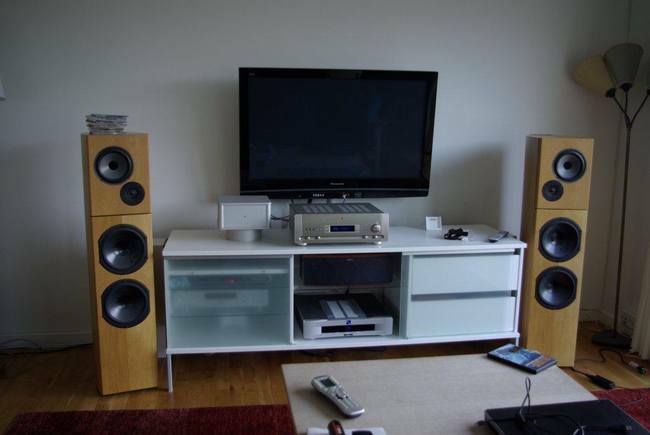 The loudspeaker tweeter and mid-range drivers come from the Danish High-End manufacturer ScanSpeak and the bass driver comes from ATC. 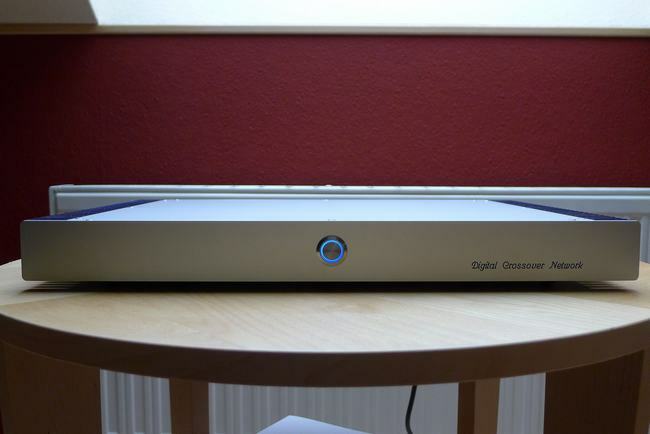 System based upon DCN28 - Digital Crossover / Preamplifier. Harry: "When you use a beautiful device like a DCN28, you have to try to use all the advantages it can give you." "How it sounds? 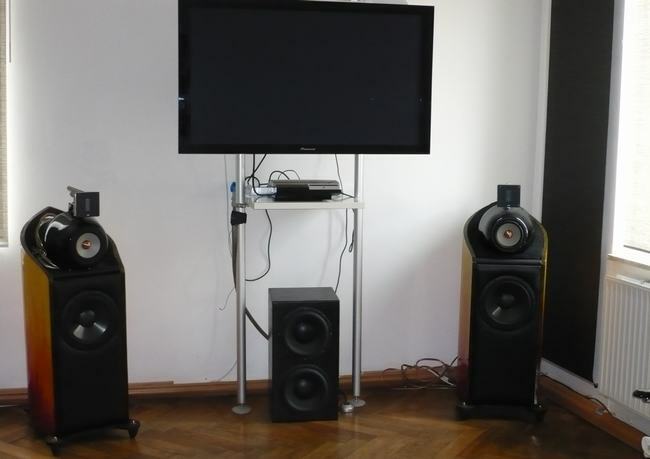 Well, it is the best sound I have had in my room up till now"
"The Pimster - second gallery"
The second active loudspeaker project with Ground Sound electronics. 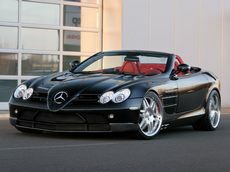 This time the choice was the Coolback II 300 with more drivers. 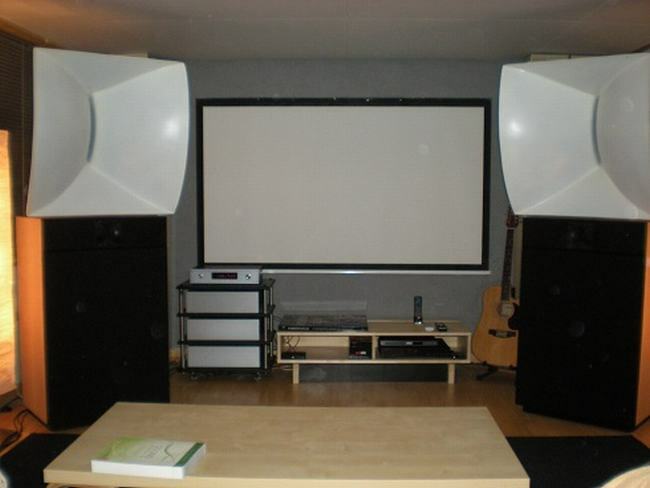 Okay,	I�ve driven them very loud for some time now. 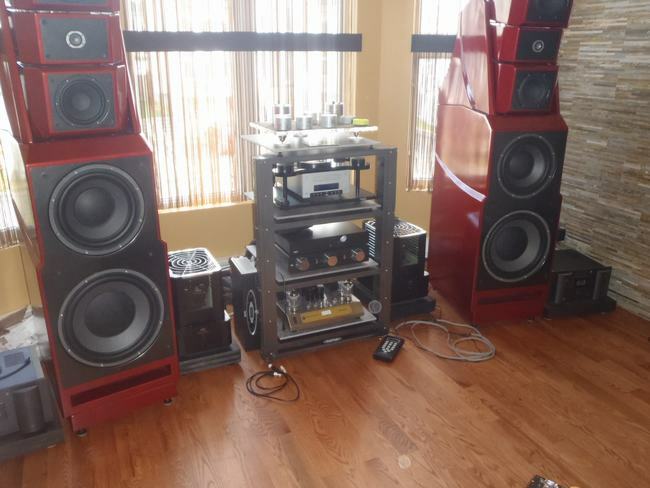 Great sound and tight bass at nearly 2Ohm!! 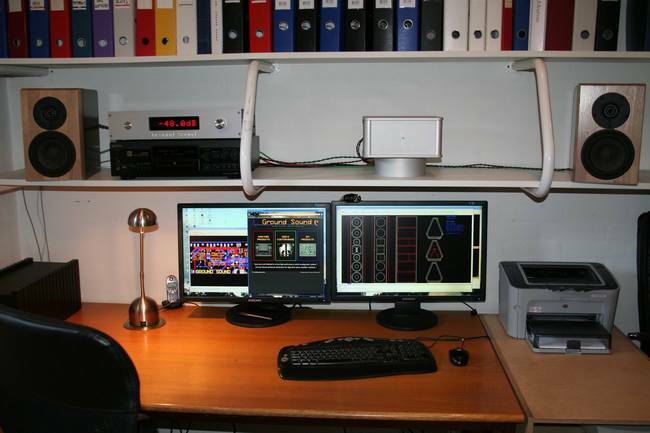 "Everything has been elevated to something I had never expected from my humble setup"
Drik S digital crossover projects. I think the pictures speak for themeselves ! 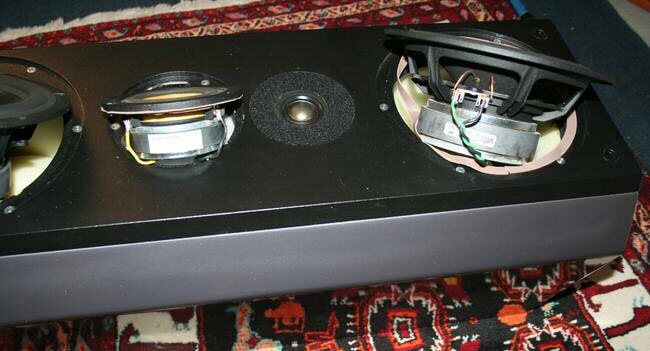 Jim Thiel coaxial driver SCS3-N & Vifa 26WA550/4 bass mounted in two half spheres made up of MDF circles. Total diameter 58cm and a weight of 30 kg ! 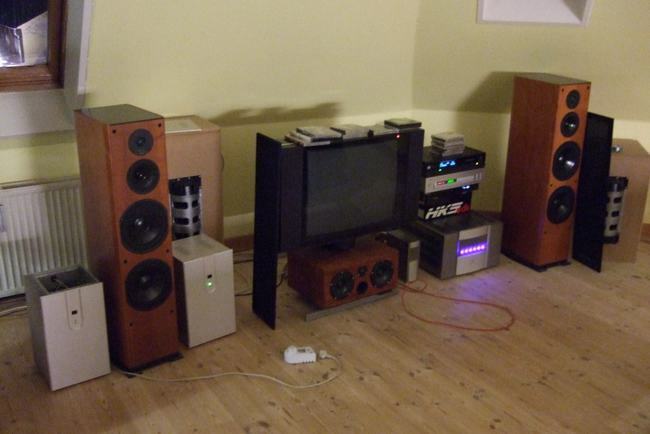 "- I am truly surprised of the leap in Sound Quality - I didn't expect this much"
"- Now the annoying bass rumbling is gone together with the hiss"
"- the grip on the woofer is superb"
"- and I can not see myself going back to a passive system with the constraints that this will imply"
"I hope it can give some inspiration to others...!" 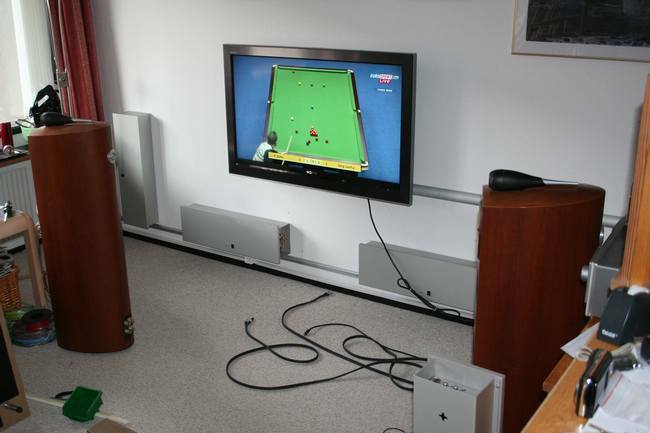 "I have tested a couple of different setups right now. They all sound really great." 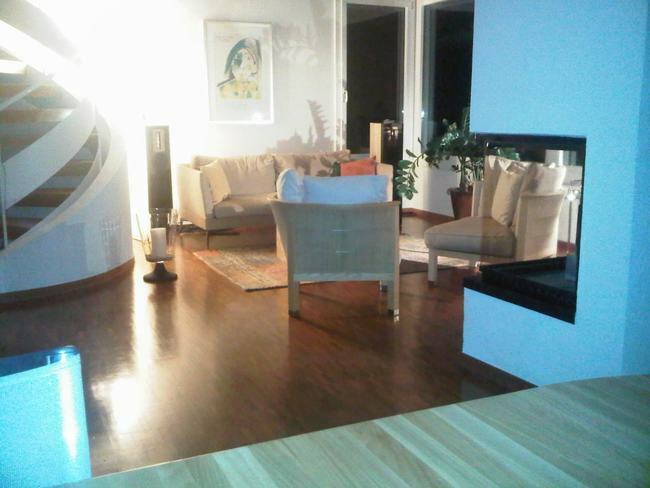 "The active way with your Coolback is much more open, direct, fast, clean and colourful." 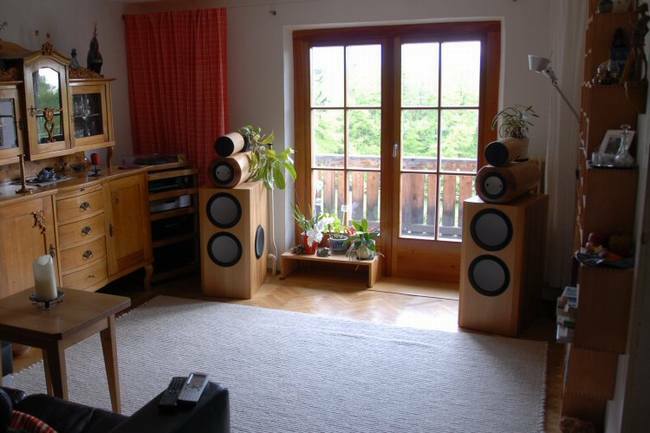 "Even with this basic setup the Mahlers sound way better than the original passive setup, and we are talking about 10.000� speakers." 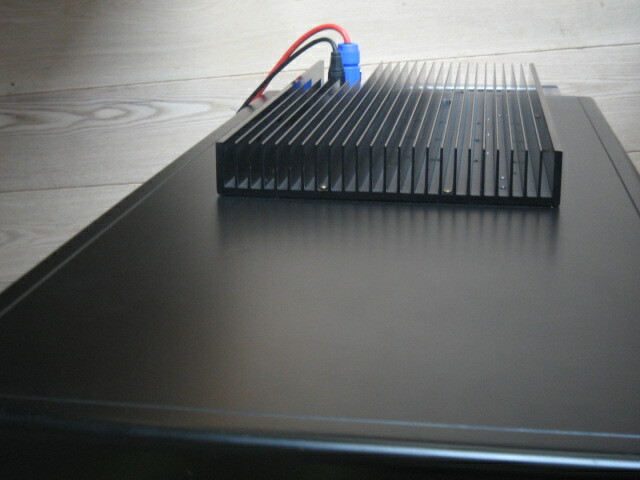 Ole has invested in 7 pcs Custom-made Wall-Hung Active Amplifiers with Ground Sound electronics. 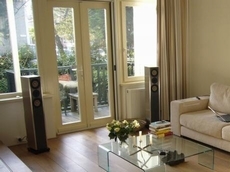 All is based on the Ground Sound Active Amplifier Solution and include both our digital crossovers DCN23 & DCN24 - which is DCN24 (4-way) for the front speakers and DCN23 (2-way) for the rest of the speakers. 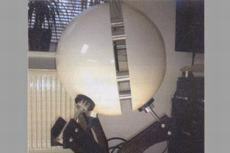 Jan has implemented an active solution with a pair of modified Chassis 600 for his ribbons. 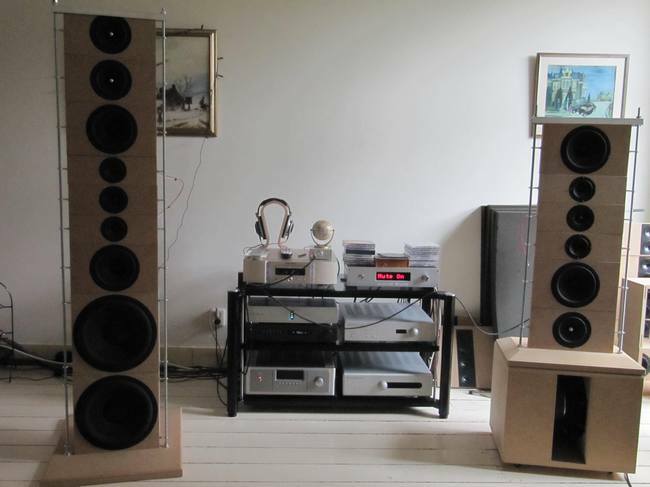 Matti has bought a pair of Chassis 1503 to make sure that his DIY speaker will get enough power. 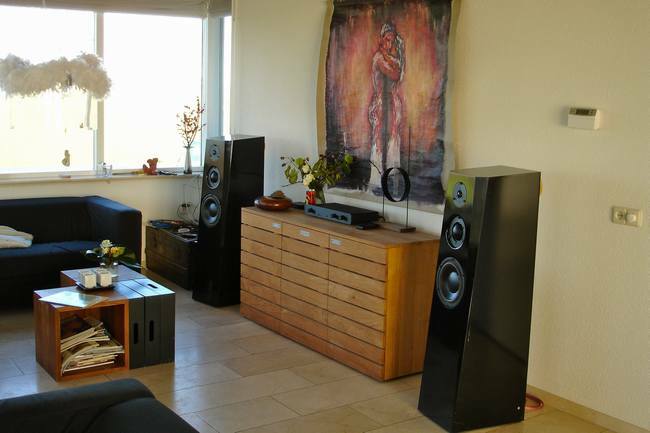 Thorbj�rn has upgraded his old pair of Dali loudspeakers and given them new life with two Chassis 603 active amplifiers. 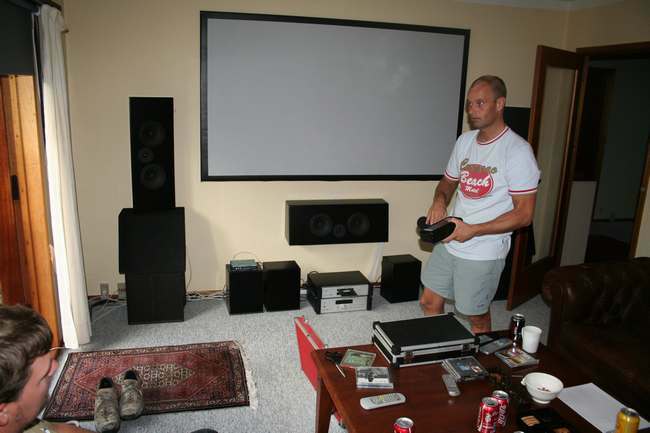 Thorbj�rn: "I looked at my trusty speakers and though that if my subwoofers could work that great filtered by DCN23, then why not do the same with my front speakers?" 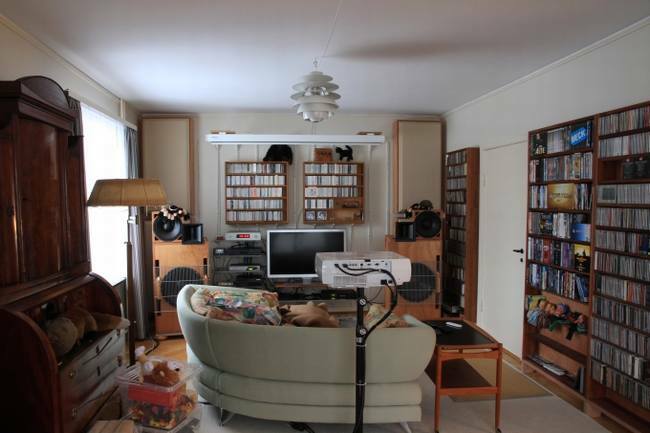 Bjarne is very technical minded and he has always experimented with technical solutions beyond what the "normal" DIY person would use. 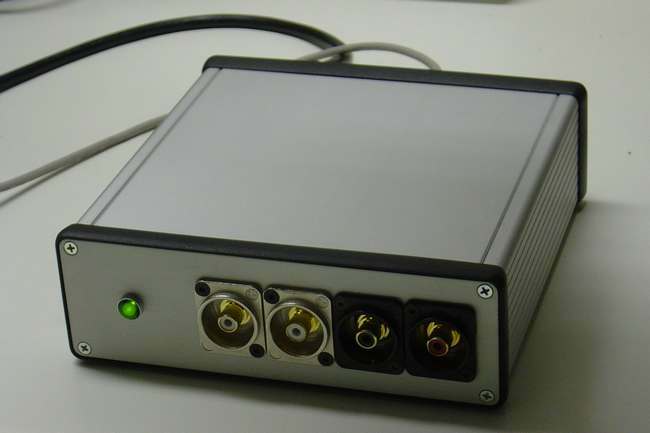 Bjarne uses a DCN23 Digital Crossover module and PSU DCN Power Supply. 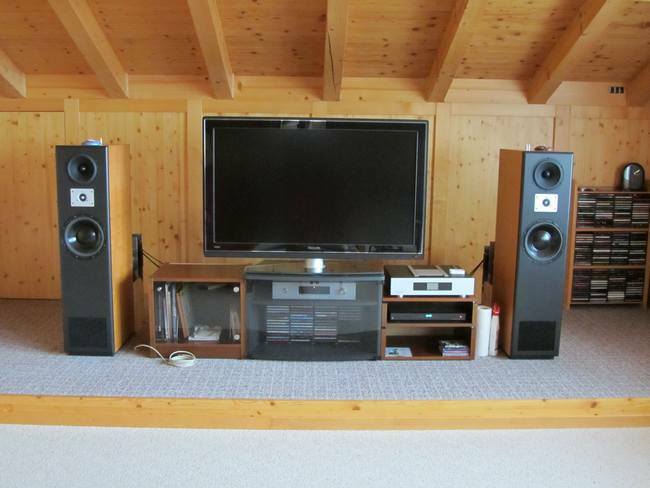 "Every evening I am enjoying the sound through the new DCN23 boxes..."
Claus Karl: "I am the proud owner of a DCN23 kit and enjoy every hour I can hear music with it. 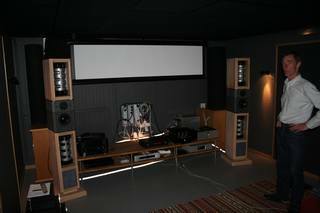 The system has been updated - second half of gallery...! 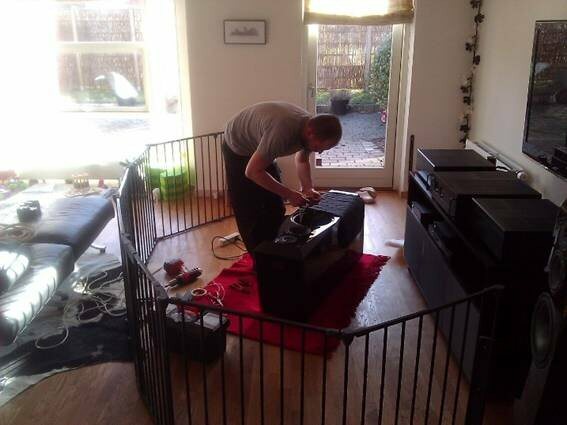 "I do not miss any of my previous amps!" 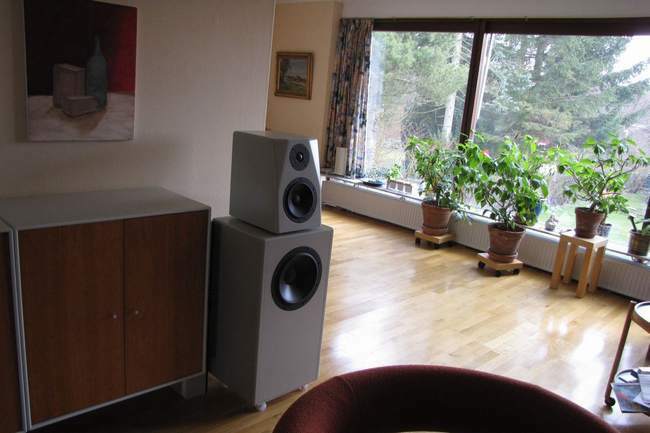 "The sound is still clear and clean with a nice sense of 'presence' "
"the 'blocks' are VERY silent considering that the sensitivity of the speakers is +110 dB/1 watt(!) 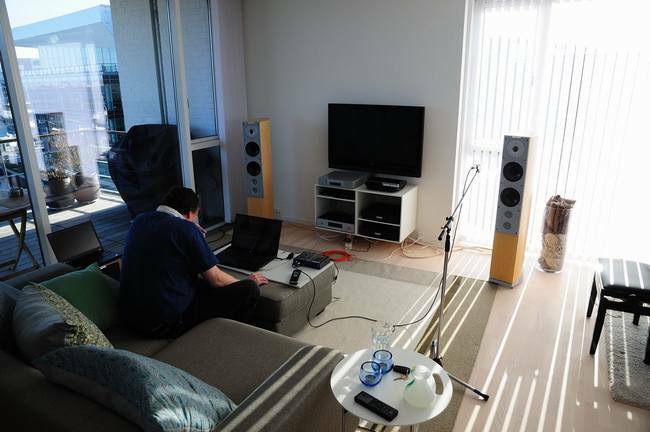 "
Morten bought a pair of demo Coolback 603 to upgrade from passive filtering to active filtering. 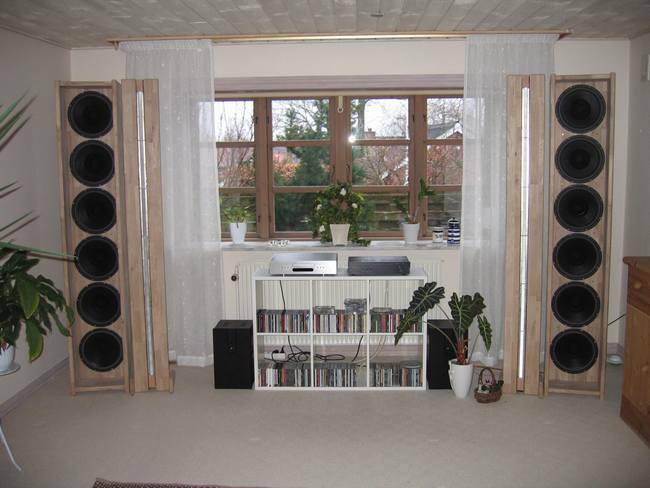 Morten: "The bass is clearer and with much more correct body to the instruments. 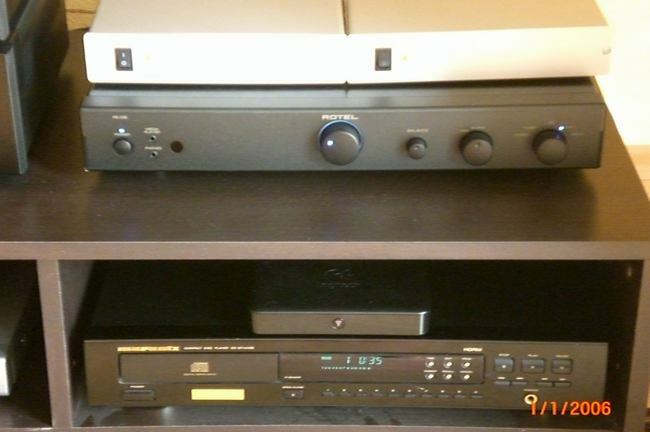 The mid now has more direct access to the recording and the same applies to the tweeter"
The sound was quite OKAY and much better than from any other loudspeaker that he have owned previously. 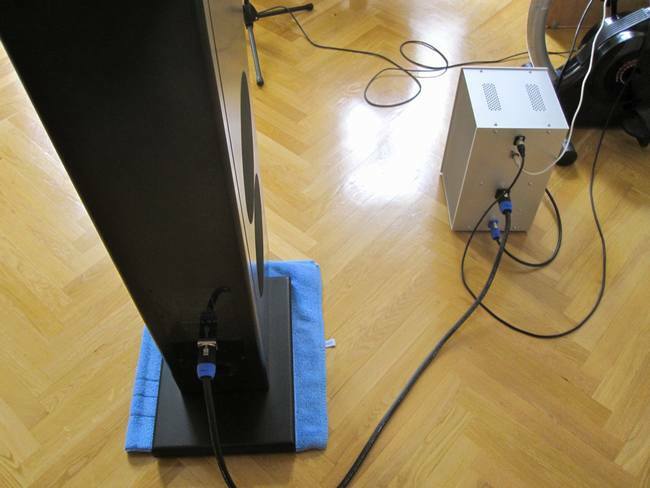 Most astonishing is the bass control and the effect of tweaking with the room modes - in his room 42Hz and 59Hz. It is a very big 5-way system in 5 seperate cubes - all active. 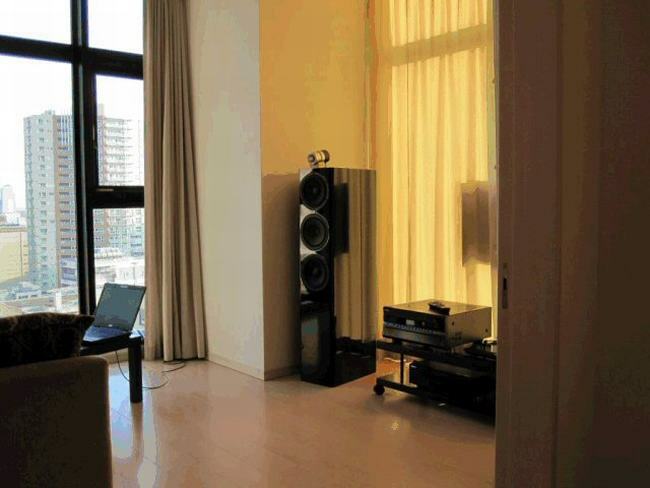 "The sound "flows" really free in the air, it is nearly incredible that it comes from the speakers." 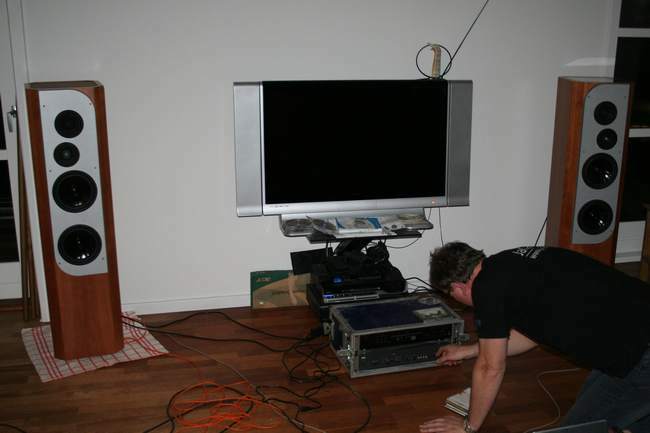 Nils:"It works and soon I will use in a real setup"
- so if you think it is interesting keep on coming back once in a while.